1964 saw the birth of the Patrouille Suisse, an aerobatics team composed of professional air force pilots, which established itself from 1995 onwards as one of the rare supersonic jet teams, flying on six F-5E Tiger II hunter planes. To celebrate the 50th anniversary of this exceptional squadron, Breitling is dedicating an exclusive version of its famous Chronomet in a dual-time versions. 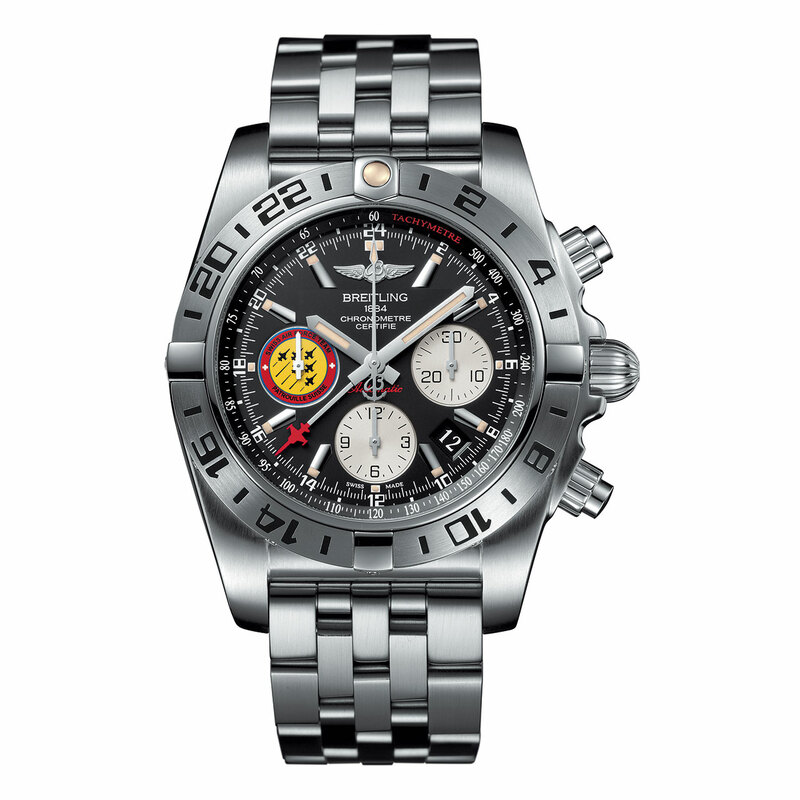 Issued in a 1,000-piece limited numbered series, this authentic wrist instrument for pilots features a caseback engraved with the Patrouille Suisse official 50th anniversary logo, a dial personalised with the squadron logo at 9 o’clock, while the additional hours hand is tipped with the outline of a red F-5E Tiger II. 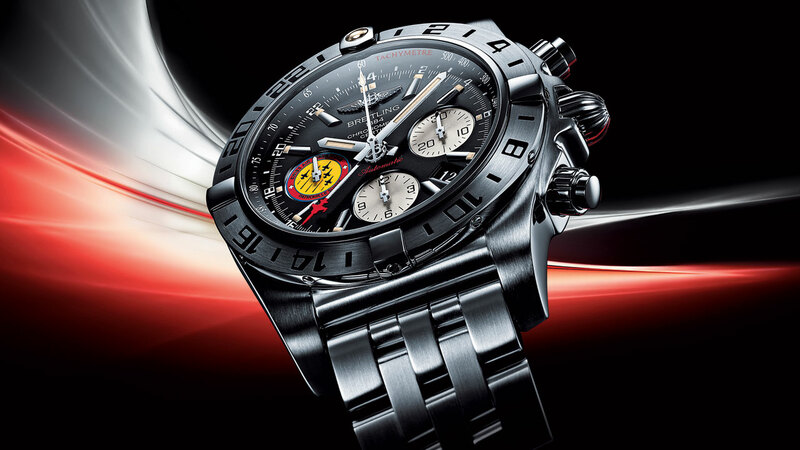 Hours, minutes, seconds, date, 1/4th second chronograph, dual-time function.